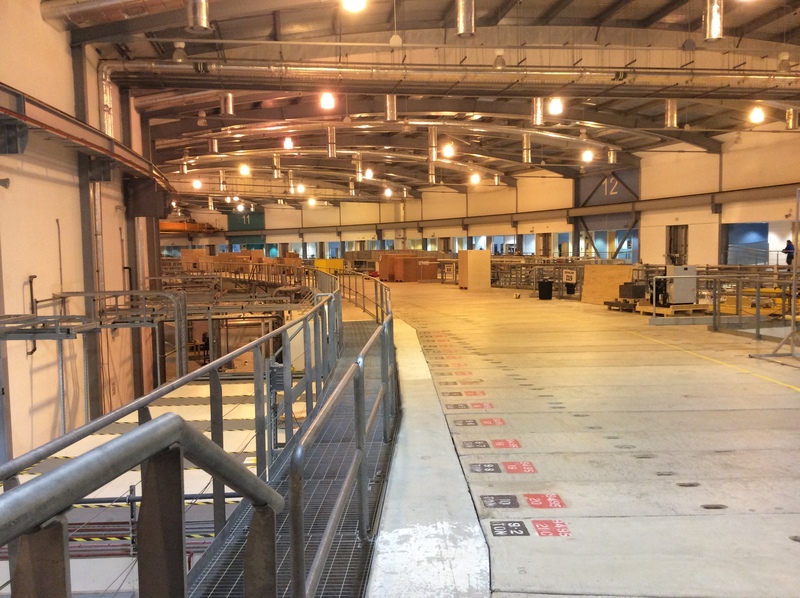 In November I joined Michael Condron for a visit to Diamond Light, the UK’s synchrotron which is based at Harwell. 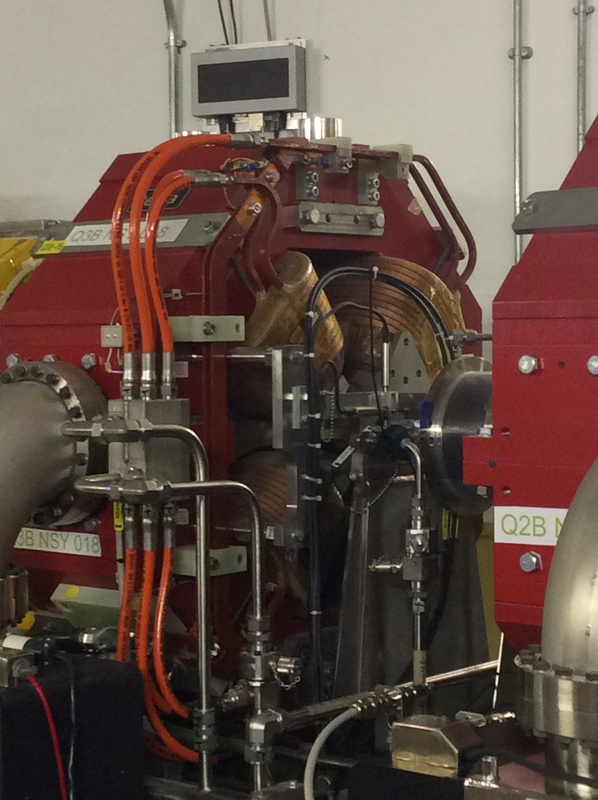 This is a very powerful machine which works like a giant microscope, speeding up electrons to near light speed to give out a light 10 billion times brighter than the sun. 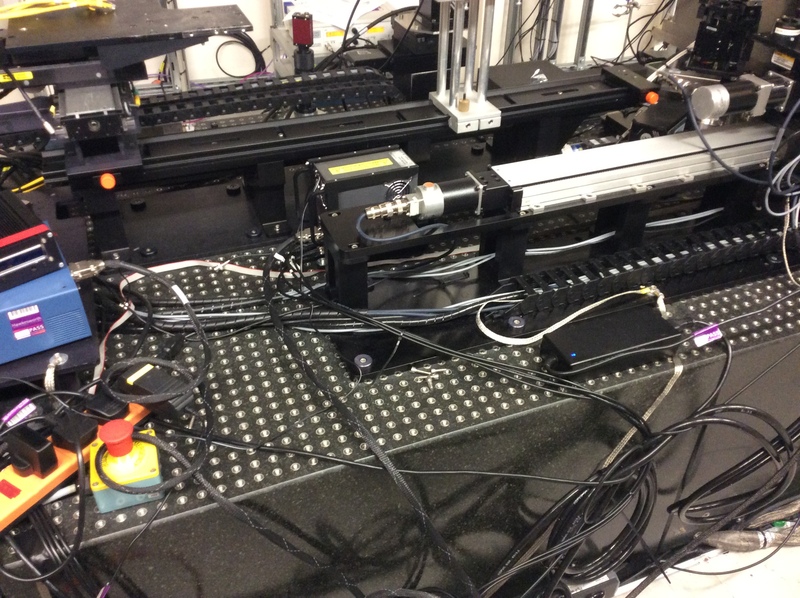 This incredibly powerful light is used by scientists to study all sorts of subjects, from medicines and disease to materials and cutting-edge technology. We visited on a day when the synchrotron was switched off, so were able to walk right into the chambers where experiments take place. Once again we were faced with mind-blowing technology on a huge scale. When accelerated the electrons are moving so fast that they could travel around the world 7.5 times in a second. We are discovering that as well as being the hottest place on earth (at JET in Culham), this area is also home to the brightest light and the highest speed! 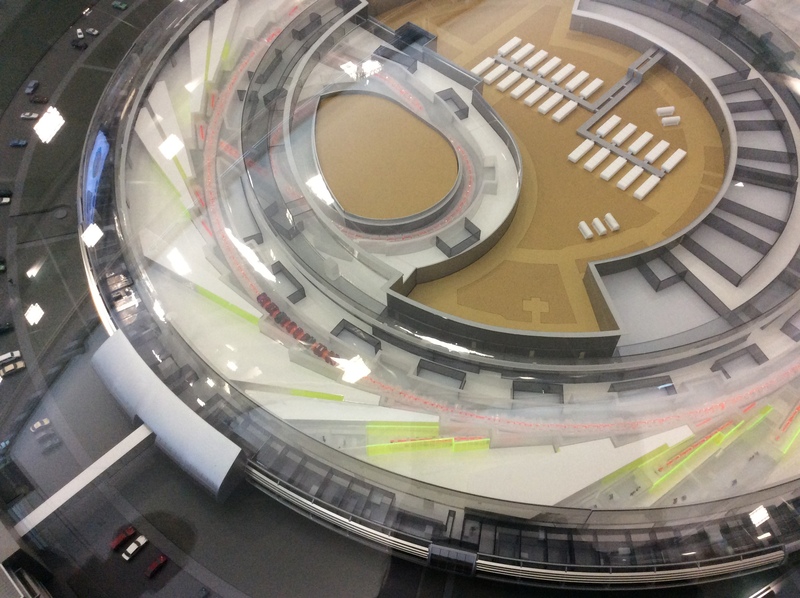 Here is a model of the synchrotron. You can see the orange ring where electrons speed up before being fired into the laboratories or ‘beam lines’ which are shown in yellow. Walking over the main chamber of the synchrotron which is sealed in these concrete blocks. 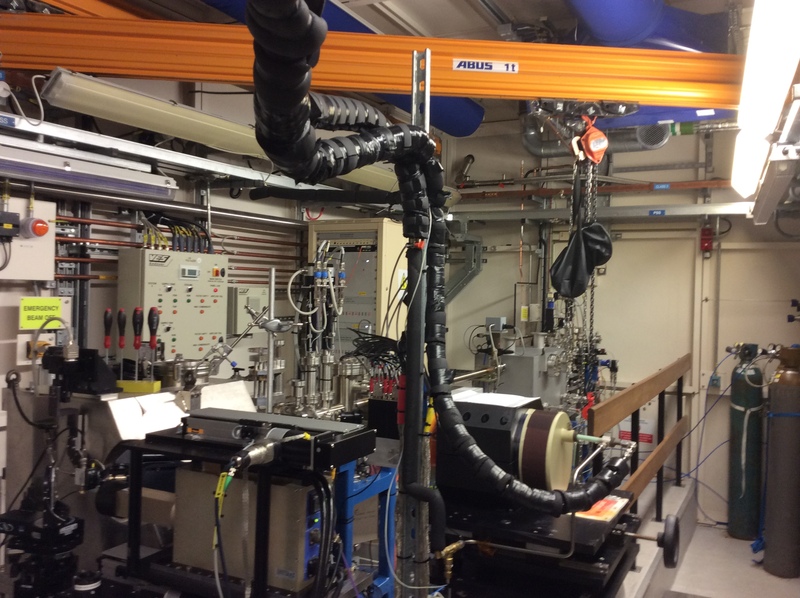 Inside one of the beamlines where scientists carry out their experiments. The technology is constantly being refined. We noticed some heath robinson adaptations in this chamber, the result of improved understanding of how the technology can be used. The granite surface where experiments take place. Granite is used as it is so strong and won’t be eroded by the powerful beams of light.